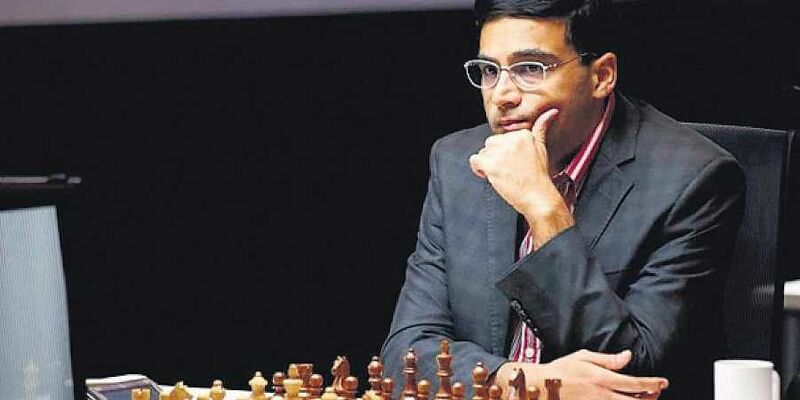 CHENNAI : Viswanathan Anand will look to bounce back in the St Louis Rapid and Blitz Chess, which gets underway on Saturday in St Louis, USA. It will be the third leg of the Grand Chess Tour and will consist of nine rounds of rapid followed by 18 rounds of blitz. The five-day, 10-player round robin tournament will decide the champion after 27 rounds of frenetic action. After winning the World Rapid title last year and Tal Memorial Rapid crown in 2018, Anand struggled in the first two legs in Leuven and Paris, taking the ninth and sixth spots. In Leuven, he performed reasonably in blitz but was below-par in rapid. It was the reverse in the French capital, where he had a decent show in rapid but faltered in the blitz. Doing well in the rapid is crucial for Anand’s chances in the tournament. If Anand can get a score of +1 or +2 after nine rounds of rapid, the Indian will have a realistic chance of a podium finish. Of course, he has to maintain the momentum in 18-round blitz to have a successful tournament. Anand’s problem in recent times in the quicker formats has been his lack of consistency. He either plays very well or vice-versa. “Given the fact that two years ago, Anand dominated the Champions Showdown in St Louis, this year too he has his chances and he can be dangerous on any day,” was how India GM SP Sethuraman summed up Anand’s hopes in the tournament. Wesley So is on a roll in the rapid format. The American No 2 was successful in both the rapid portions of Leuven and Paris, besides being the winner of the first leg. He followed it up by winning the Leon rapid crown for the second straight year. Considering his form, So will start the tournament as a slight favourite. “I consider Wesley So as one of the top favourites to win the tournament,” was Sethuraman’s pick for winning the event. Hikaru Nakamura, who is one of the best rapid players in the world, and winner of the Paris leg, will be a strong contender for the title. Sergei Karjakin, who finished joint second and second in the first two legs, will be difficult to stop if he gets going. Maxime Vachier-Lagrave and Levon Aronian are the other two players who can go all the way if they are in good form. Players List: A Grischuk (RUS), F Caruana, H Nakamura, W So (all USA), L Aronian (ARM), M Vachier-Lagrave (FRA), S Mamedyarov (AZE), S Karjakin (RUS), V Anand (IND), L Dominguez (CUB). GCT Standings (after two legs): 1. W So 21 points, 2. H Nakamura 20, 3. S Karjakin 19, 4. M Vachier-Lagrave 15, 5. L Aronian 13, 6. A Grischuk 9, 7. V Anand 8, 8. S Mamedyarov 7, 9. F Caruana 4.